Well, it's clear that the Blue Jays have October in their crosshairs. With a seven-game deficit in the AL East, Toronto made a couple of ballsy moves this week. The first came on Monday with the Tulowitzki deal, which sent José Reyes to the Rockies for Tulo and Hawkins. Even Tulo was surprised by the move. Though you can't deny the move is already paying dividends. And now, with the non-waiver trade deadline breathing down the necks of 30 GMs, Canada's best struck again with another daring move, acquiring David Price from the Tigers in a 3-1 lefty-pitcher deal. 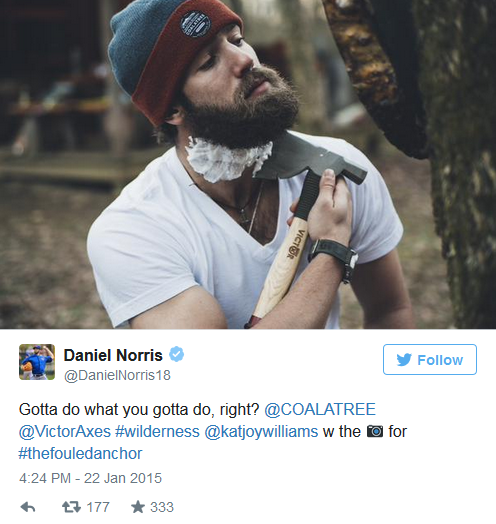 The key for Detroit was Daniel Norris, who's just crazy enough to be a southpaw and just talented enough for the Tigers to gain some near-term benefit out of this deal. With Johnny Cueto and Cole Hamels already shipped out, Price was the last of the big-name starters to go. Now, the rumor mongers will cast their eyes to San Diego, where the likes of Tyson Ross and Craig Kimbrel can be had. The Blue Jays aren't keeping any secrets about what the hope to get out of this season. With some aging talent and expiring contracts, TO's looking to seize the moment and bring some hardware back to Canada for the first time in over 20 years. Given the paucity of their pitching in the minor-league pipeline, it looks like they realize it's now or never.